The Federal Government is making a lot of noise about the benefits to small business from the 2017-18 Budget handed down on 9 May, but is there much in Scott Morrison’s plan for the sector to get excited about? The most notable feature of the Budget for the small to medium-sized business (SMB) sector was the extension of the instant asset write-off program which allows businesses with turnover up to $10 million to deduct eligible assets each costing less than $20,000. “Small business owners are out there fighting for growth in their businesses every day. They deserve our respect and support… we will take further action to reward states and territories that cut red tape costs for small business,” Treasurer Scott Morrison said in his Budget address to parliament. “Partnered with our recently-delivered tax cut for small business and extending the definition of ‘small business’ to benefit more enterprises, this investment continues the Government’s support for small businesses to pursue new ideas, invest in themselves and create more jobs,” he said. The Budget also included a $300 million incentive to the States and Territories to cut red tape, which the minister described as a persistent issue for SMBs. “No matter where I have travelled or whom I have met, red tape is top-of-mind for small business,” he said. “Since then, the Government has reduced the annual regulatory burden on businesses and the community by more than $5.8 billion, exceeding its target every year,” he said. As part of the proposed budget measures, the Government will provide up to $300 million over two years to states and territories through the National Partnership on Regulatory Reform as part of its goal to reduce regulatory burdens and remove unnecessary restrictions on competition. “Whilst the Federal Government has delivered red tape reduction and simpler paperwork – especially the simpler BAS, which begins from 1 July – I want to work with the States and Territories to continue this good work,” McCormack added. “I have asked small businesses around Australia to tell me their stories of paperwork and compliance so we can try to make it simpler. This $300 million incentive over two years will help us work with the States and Territories to make the business of doing business even simpler,” he said. In response to the Federal Budget, the tech industry was pleased by the investments slated for digital Government platforms and projects but remains wary of the commonwealth’s ability to execute its plan. “They committed to respond to growing demands from citizens by focusing on innovation and making government an example of digital leadership, by changing how it invests in and uses technology and data to better deliver quality services faster and at a lower cost,” Gartner research director, Dean Lacheca, said. He praised the focus on shared whole-of-government platforms, the attempt to break down some of the data silos that plague governments around the world through the “Tell Us Once” style of system, and the federated identity management framework as good steps towards digital government maturity by the Australian Government. He added that the challenge now is to deliver against these commitments. “The Government’s commitment in the budget to platform consolidation and a shared services model should help accelerate the transition to digital government for many of the smaller agencies," Lacheca said. "The challenge will come in the execution. Getting so many agencies to agree requirements will require compromise. And managing the risks associated with Financial and HR migrations has proven to be challenging in the past. Lacheca added that funding to train public sector employees in digital skills is another good step. “The challenge now is to make sure that the right training and skills development is targeted at the right people,” he cautioned. The Australian Computer Society (ACS), meanwhile, said the Budget confirmed that the digital economy was a priority for the Turnbull Government but called for more investment in ICT skills. “We would see three key pillars to achieving an economy higher up the value chain and one which affords higher paying jobs; these being a strong banking and finance sector, a strong cyber security capability that delivers trust, and developing high-level STEM skills in the education system,” ACS president, Anthony Wong said. The ACS lent its support to the Government’s introduction of needs-based funding for Australian schools, which includes $242.3 billion in recurrent funding to schools over the next decade. “We also welcome the new Gonski-led Review to Achieve Educational Excellence in Australian Schools to provide advice on how this funding should be used to improve student achievement and performance,” Wong added. “However, at a time when the performance of Australian students in science and maths is declining, the ACS supports a stronger focus on building digital skills and digital literacy in Australian classrooms. This must be a critical economic and policy priority, especially when STEM is associated with 75 per cent of the fastest growing occupations, innovations and wage premiums,” he said. 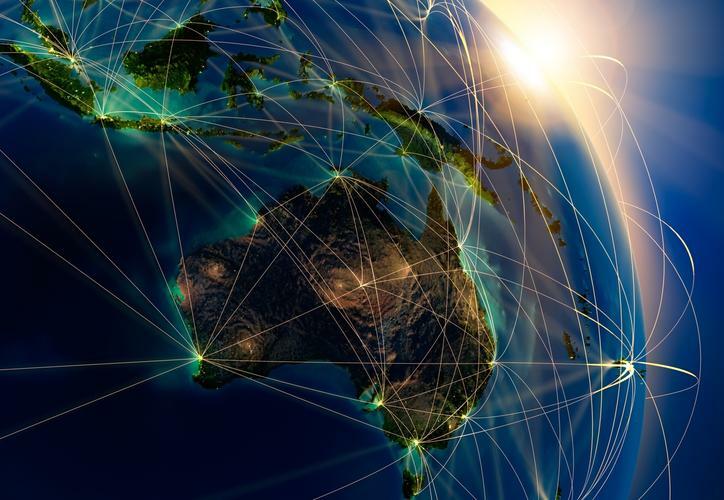 The Australian Information Industry Association (AIIA) chief executive officer, Rob Fitzpatrick, said the government was taking a lead in Australia’s digital transformation through greater investment in ICT infrastructure and capability. “With respect to the Skilling Australians fund, I’m pleased to see there will be a focus on high demand occupations and industries and sectors of future growth. "The key will be how well this is executed. Forty-four percent or 5.1 million current Australian jobs are at high risk of being affected by computerisation and technology over the next 20 years, so this will be critical to ensuring Australia’s long-term global competitiveness. Consulting with industry on where the focus needs to be in skills development however is imperative,” he added.